Summer is a sweet, lazy time, isn't it? Nothing says summer like the combination of seashells and carefree, outdoor games! I did just that with a bit of paint and some seashells to create a backyard Tic Tac Toe game! I started with a bag of seashells that I found at the dollar store. They were the perfect size because they were on the small side and there was a variety of shapes in the bag. Plus, I got so many for a dollar that I really couldn't go wrong! That's it! 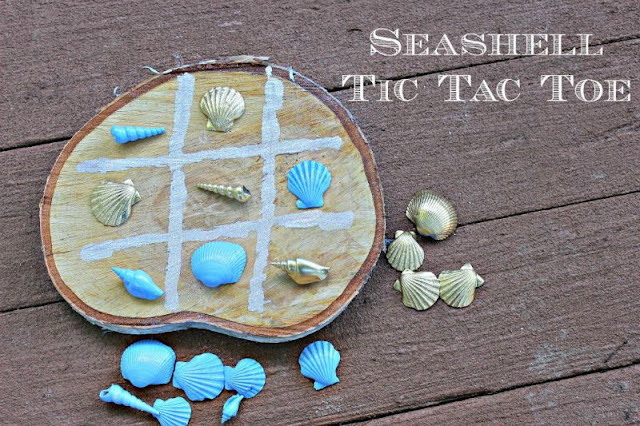 An easy seashell game that doesn't take a lot of work but adds a bit of whimsy to our summer evenings! 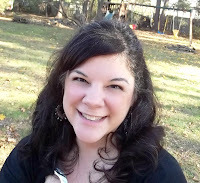 Connect with me these other ways too! This is a wonderful craft idea! Love the colors you chose. This is such a cute, fun idea! Pinned!! !